The McKee Glass Company was established in 1853 under the name McKee and Brothers Glass Works. McKee began its operation as a large business and maintained that status thoughout the Depression Era. After 1888, because of rising fuel concerns, the company relocated to Westmoreland County in western Pennsylvania, and settled in a small town which they created and named Jeannette after Mrs. McKee. Jeannette turned out to be the perfect location for glass manufacturers due the rich coal supplies. By 1929 Jeannette had expanded to a population of 18,000 and the town now contained eight different glass companies. McKee was slow to automate and much of the glassware made through the Depression Era was produced by hand. Colored kitchenware and dinnerware lines were a large part of the production by the mid 1920's. The Glasbake line was the primary kitchenware issue. 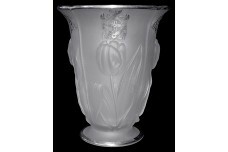 Rock Crystal Flower was the leading tableware line in both crystal and colors. Opaque green, blue and yellow kitchenware was made for refrigerator storage and kitchen use. Opaque colors were also used to express the detail of the Laurel pattern. 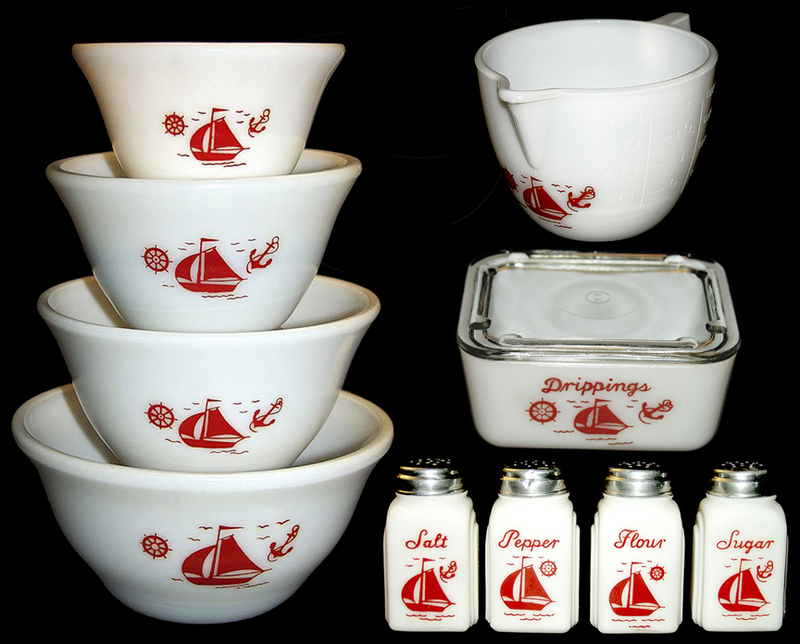 Specialty items such as Sunkist reamers, Tom & Jerry sets were important items, Art Deco vases and lamps, and children's dishes were also important products.